Lembas, or “journey-bread”, is a special bread made by the elves, also called “waybread” in the common speech. Lembas is a closely guarded secret, and only on rare occasions is it given to non-elves. Galadriel gives a large store of lembas to the fellowship of the ring upon its departure from Lothlórien. Frodo Baggins and Samwise Gamgee subsist on it through the majority of their journey from there into Mordor. Like other products of the elves, it is offensive to evil creatures; Gollum outright refuses to eat it, even when starved. Melian, the queen of Doriath, originally held this recipe. Later it was passed to Galadriel and other elves. The recipe I use is adapted from Everything is Poetry. 1. Pre-heat your oven to 180 degrees (gas mark 6). 2. Zest your lemons as best you can. I thought this was the hardest step (i.e. my knuckles thought this was the hardest step). 3. Mix together the flour, lemon zest, and baking powder. 4. Add the butter in chunks and rub it all together. 5. In a separate bowl, mix together the sour cream, lemon juice, and honey. 6. Dump the wet mixture into the floury one, and mix it up into a doughy ball. It should be nice and squishable but not too sticky ’cause you’re gonna need to roll it out. 7. Put it in the fridge for at least an hour (or skip this step if you’re impatient, like me). 8. Roll the mixture out about 1cm thick and cut it into squares however big/small you want. Hint: smaller ones are easier to wrap in leaves if you’re going to present them all elf-like! 9. Bake for 15-17 minutes, until they’re nice and golden brown. Check them regularly though after like 10 minutes, because they go from nice to burnt pretty quick. 10. 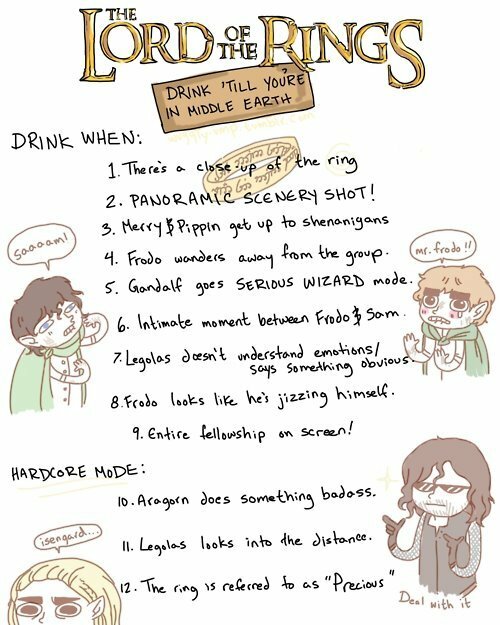 Optional: consume while playing The Lord of the Rings drinking game.